Agile Systems is a non-profit whose goals are to build up and disseminate knowledge and experience related to Agile methods and Systems Thinking. The organisation operates mainly in The Netherlands and Belgium. We maintain ties with organisations and people worldwide who have the same interests. What would make it a WOW session for you and our participants? Did you miss out on XP Days 2014 because the conference was sold out? Or the date didn’t suit you? Did you want to see some sessions again that you missed? Or perhaps you like to refer your colleagues and friends to attend that great session you experienced? Mini XP Day is your second chance. 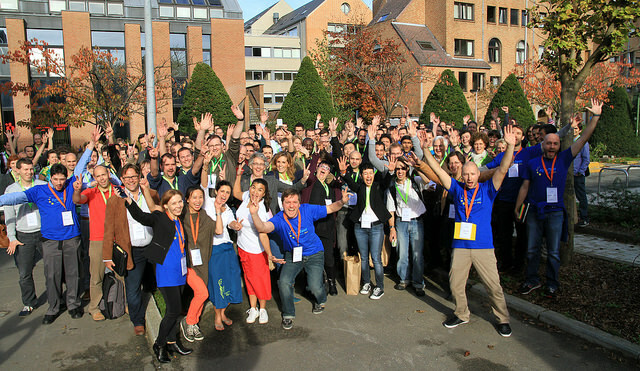 Mini XP Day reruns 11 of the best sessions from last year’s XP Days Benelux in 3 parallel tracks. What are the sessions about? Two more sessions will be revealed soon. The conference website contains the program all the practical details. See the feedback from participants, photos, blogs and articles of last year’s conference to get a better idea of what XP Days is about. Or watch the video impression of XP Days. The conference will be held in Elewijt Center, near Mechelen (between Brussels and Antwerp), Belgium. Register now, because the conference usually sells out quickly. Early rate (until end of February is 180€. In March tickets cost 210€.